Give your living room a theater-like feel with this motorized reclining conversation sofa. 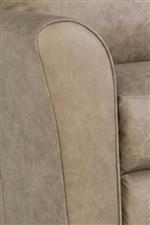 Functional storage between seats is offered below padded armrests in the console sections, as well as in their bases. Cup holders will make movie night spill free. 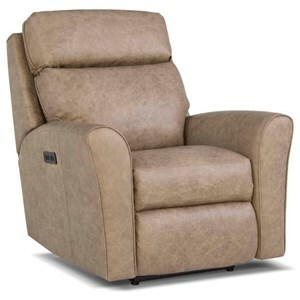 Power reclining offers complete control of comfort and adjustable headrests will help you find neck support you'll love. The 418 Casual Motorized Reclining Conversation Sofa with Console Storage by Smith Brothers at Sprintz Furniture in the Nashville, Franklin, and Greater Tennessee area. Product availability may vary. Contact us for the most current availability on this product. 418L-84 Motorized Reclining LAF Chair 1 32" 40" 43"
418L-36 Armless Chair 1 24" 40" 43"
418L-85 Motorized Reclining RAF Chair 1 32" 40" 43"
418L-22 Deluxe 22 Degree Angled Console 2 27" 40" 43"
Bring plenty of seating into your living space and make the most of movie night with this reclining upholstery collection. 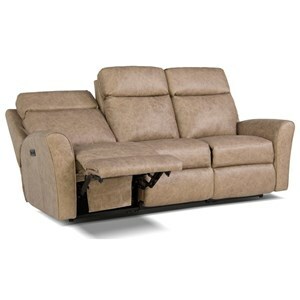 Power reclining and power headrest put you in complete control of your comfort. High density foam seats and heavy gauge coil springs give you the right amount of cushioning and support to relax when you get home. Flared arms and bustle seat backs add a casual look to each piece of the collection. Available in hundreds of cover options, so you can find the perfect look for your home and style. The 418 collection is a great option if you are looking for furniture in the Nashville, Franklin, and Greater Tennessee area. 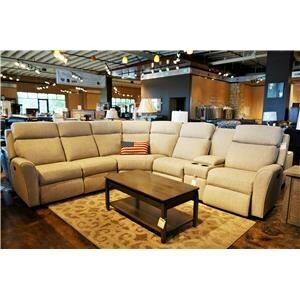 Browse other items in the 418 collection from Sprintz Furniture in the Nashville, Franklin, and Greater Tennessee area.